August blessed us with another gorgeous sunny day for Maddie and Brenden's wedding. I couldn't believe it! Perfect wedding weather two weekends in a row!! 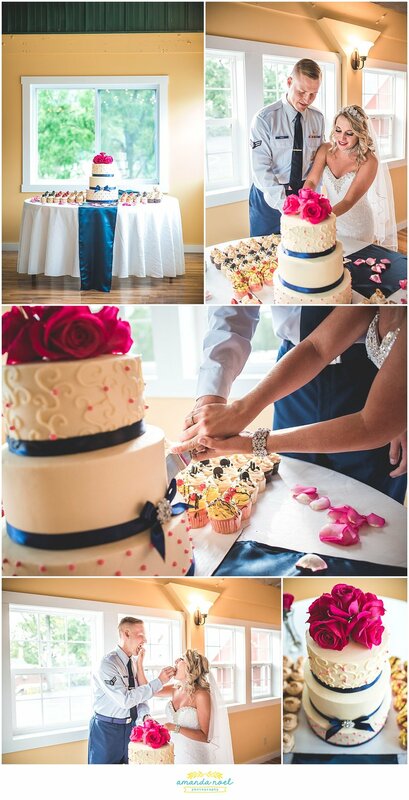 And Simon Kenton Inn was the perfect venue. The grounds there are simply breathtaking with fun little spots that add even more charm (like a tree swing and lighted bridge!). This day was super special because only a few weeks after these two became husband and wife, they were off to the United Kingdom to start their next big chapter together. So there were probably more tears than usual, and that's ok. The father daughter dance really got me, I could barely see through my tears to take the photos. 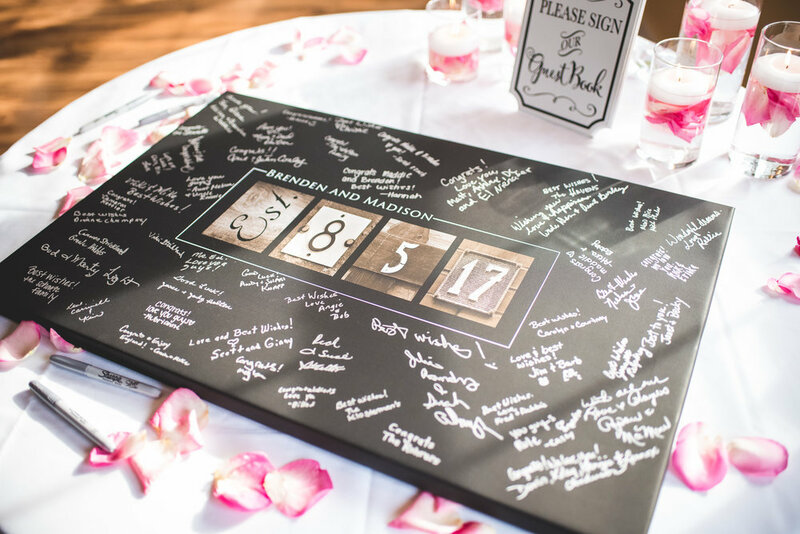 It was a wonderful day celebrating a special couple and all of the love that surrounds them. I loved the looks on their faces as Maddie's dad walked her down the aisle. While I love it when a couple chooses a first look, I also love it when they keep the element of surprise, like Maddie and Brenden did. Just as we were wrapping up couple portraits, one of the owners came out and asked Maddie and Brenden to take a photo with a couple who was celebrating their 50th wedding anniversary, for good luck. What we didn't know as we waited, was that the the gentlemen was also a retired Air Force officer, which made it all the more special. The couple was a sweet as can be and still so in love and we got a fun photo in front of their vintage convertible. Maddie and Brenden, may you still be that enamored with each other in 50 years, you are off to a great start!! Many blessings for your next adventure together! 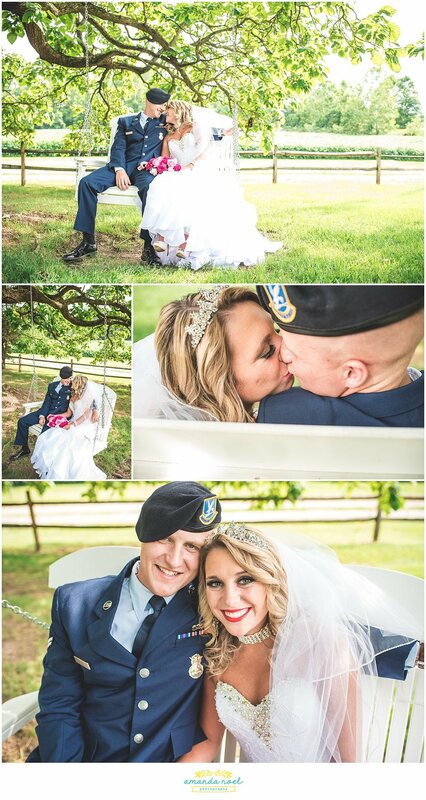 I was honored to capture a part of your love story! Interested in me capturing your wedding day? Click the button at the bottom of this page and let's connect! I would love to chat with you!